In the following, I am going to tell you and to show you why I consider the authorities of Harbin to be among the most clever in the world. But a brief introduction into where and what Harbin is may be in order first. 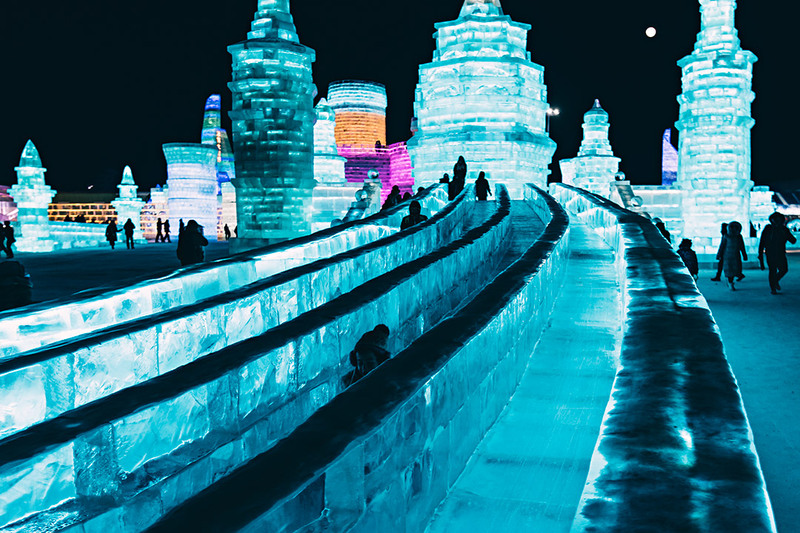 Harbin is the capital city of the North-Eastern province of Heilongjiang – China. 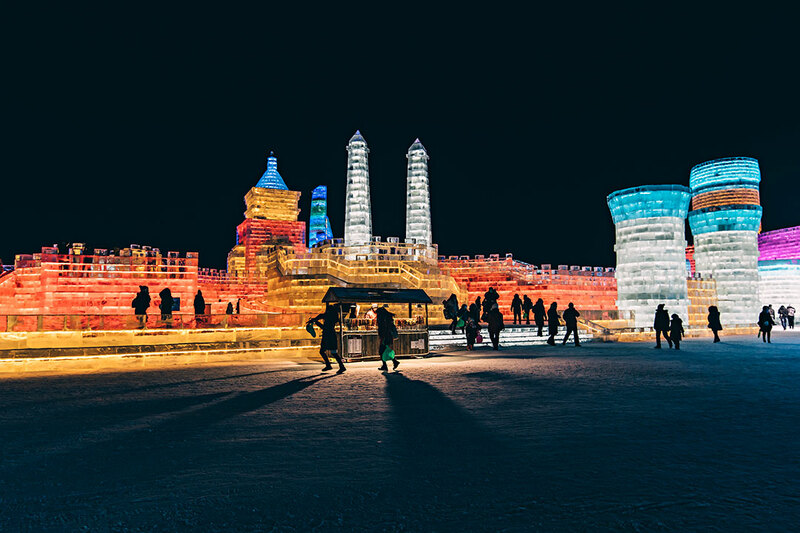 Over 5 Million people live in Harbin. So one may think it’s just another big city in China. And in a way it is. 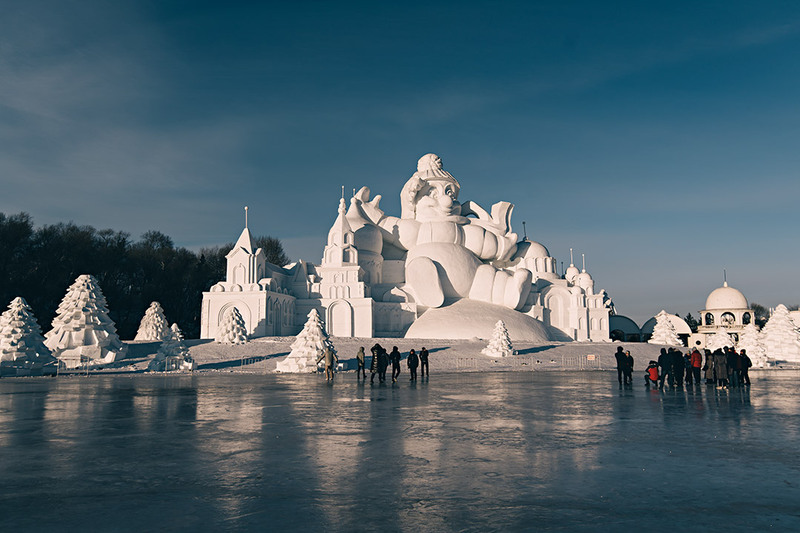 But Harbin is also China’s No.1 winter tourist destination. And one of China’s highest rated tourist attractions. 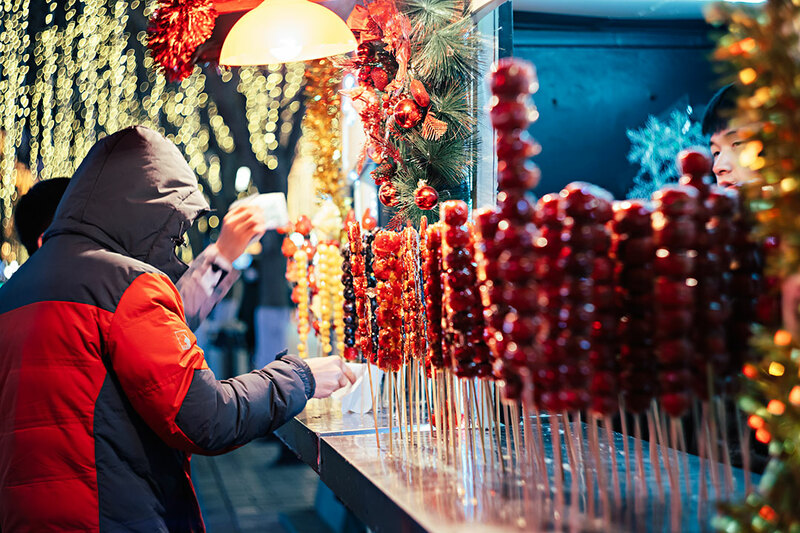 While you won’t see many Western tourists (yet), the city is bustling with visitors from all over China, as well as from neighboring countries like Japan or Korea. So what makes Harbin to be such a draw ? Why would anyone want to visit a major metropolis with such an uninviting climate ? Harbin is cold. Very cold indeed. After all, it’s just a few hundred kilometers from the border with Siberia. During Winter, which lasts from October to March, temperatures around minus 20 degrees are common. It occasionally can go down to minus 35 degrees. 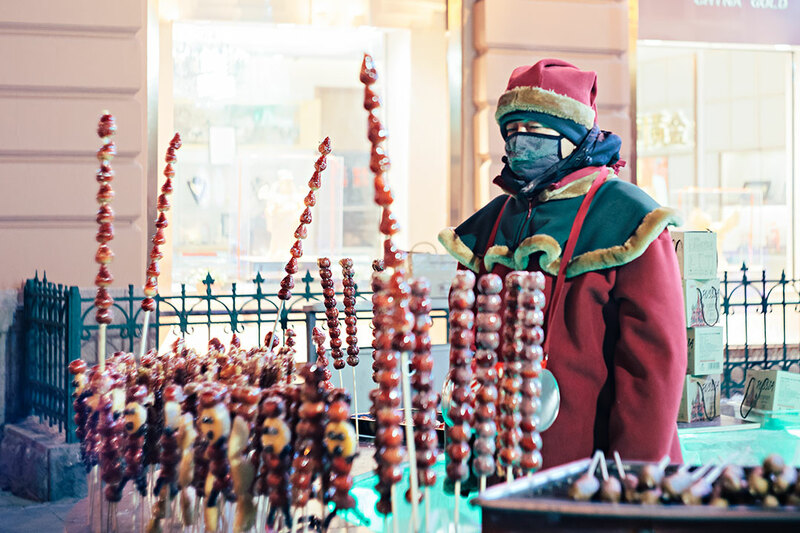 Over periods of history, the Russians in one way or another helped to shape Harbin’s architecture and culture. And this Russian influence can still be felt all over Harbin. 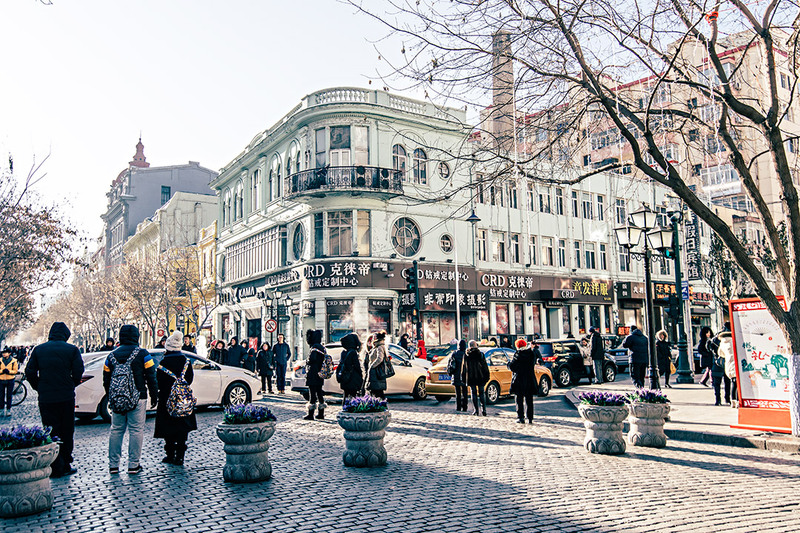 There many corners of Harbin that do not look Chinese at all. But I am rambling on too much. Let’s see some more impressions on Harbin first before I reveal why I think those ‘Harbiners’ are smart fellas. Can it get any more Chinese than this ? 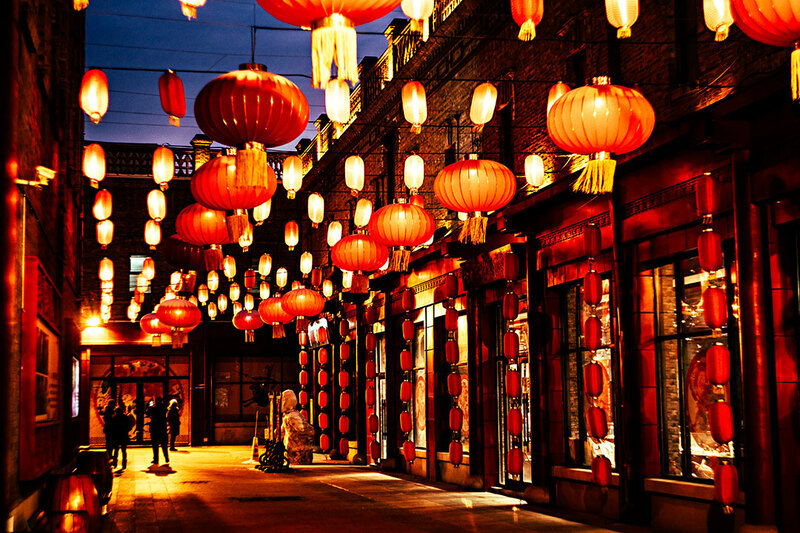 An impression from Harbin’s old city. 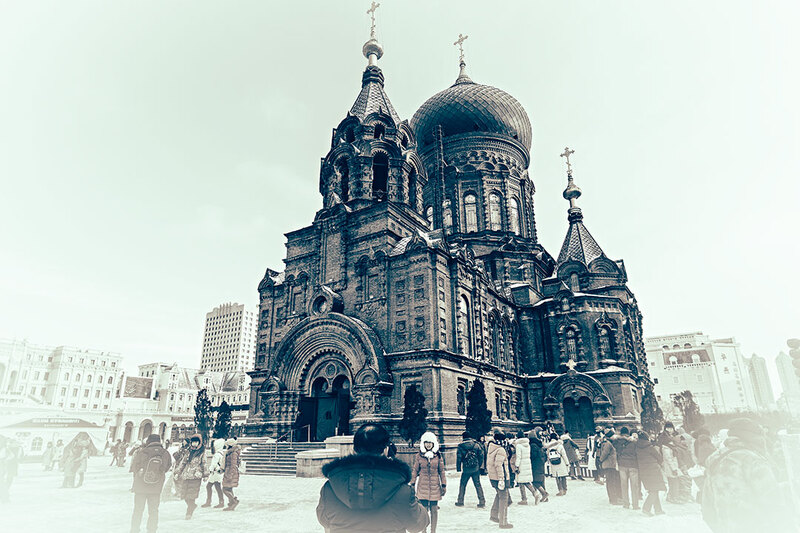 The Russian influence is best seen in and around Harbin’s famous Saint Sofia Cathedral and the surrounding avenues. Some of those buildings being old and others newly built, yet incorporating a rather Russian / European style. But this Russian influence is certainly not enough for turning this bitter cold place into a major tourist magnet. So what is it then ? 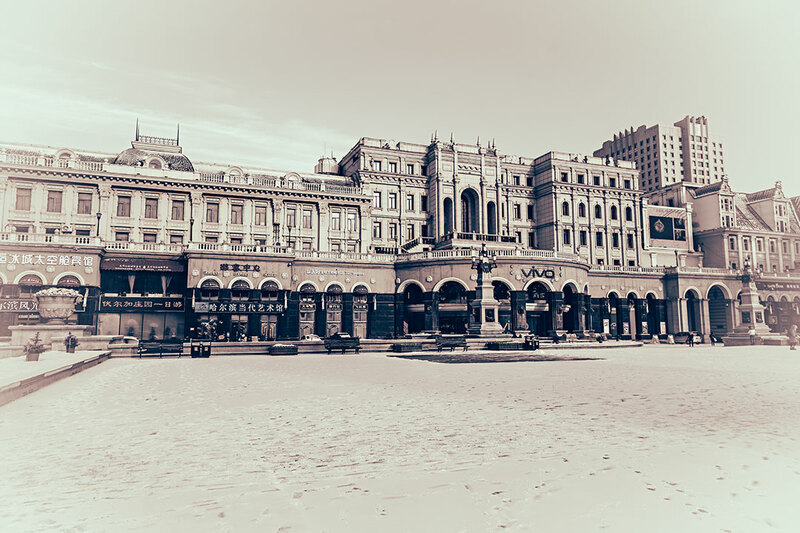 About 30 years ago the authorities there have been brainstorming on how to make Harbin attractive. And they came up with what turned out to be an ingenious idea. Through city center of Harbin runs a huge river, the Songhua. Which from end of November until at least end of February completely freezes over. The ice becomes so thick that trucks can safely drive on the river. And this river provides a limitless supply of ice. 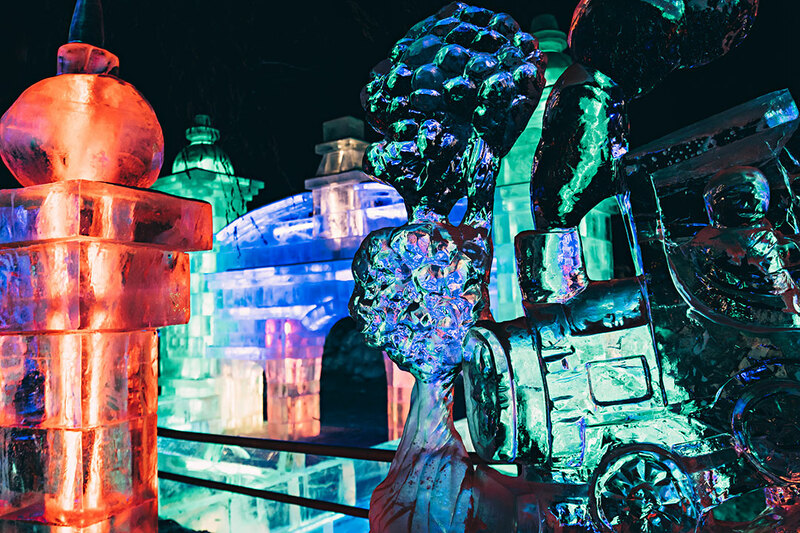 So they came up with the idea to build impressive large structures from ice and turn them into a tourist attraction. 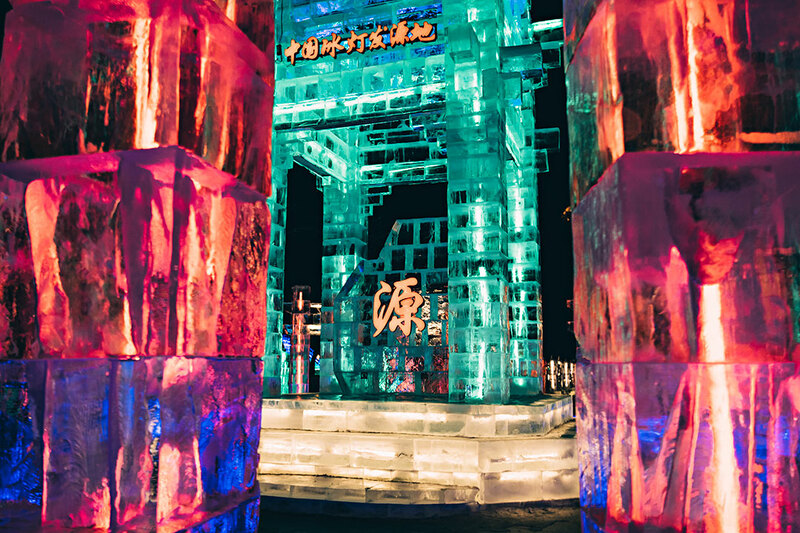 And born was the Snow & Ice Festival of Harbin. And it is impressive indeed. So let’s see some more pictures. And these snow structures are gigantic. This part you should explore during the daytime. You should have at least two hours to see it all. The area is huge. You won’t have a problem spending the entire afternoon there. Don’t worry if it gets too cold. There are many small coffee and tea houses where you can warm up. 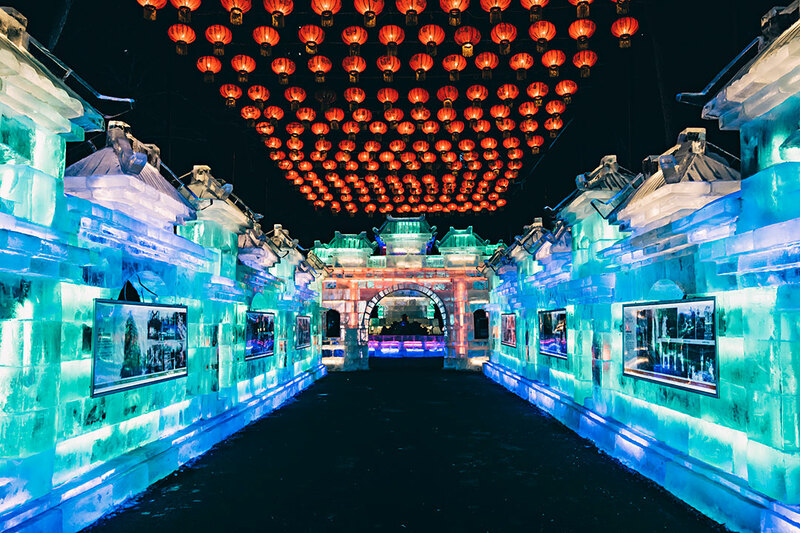 The Ice part, officially called: Ice and Snow World – 冰雪大世界 is a few kilometers away on the outskirts of Harbin. This part is best visited from shortly before dusk and during the night. Why ? 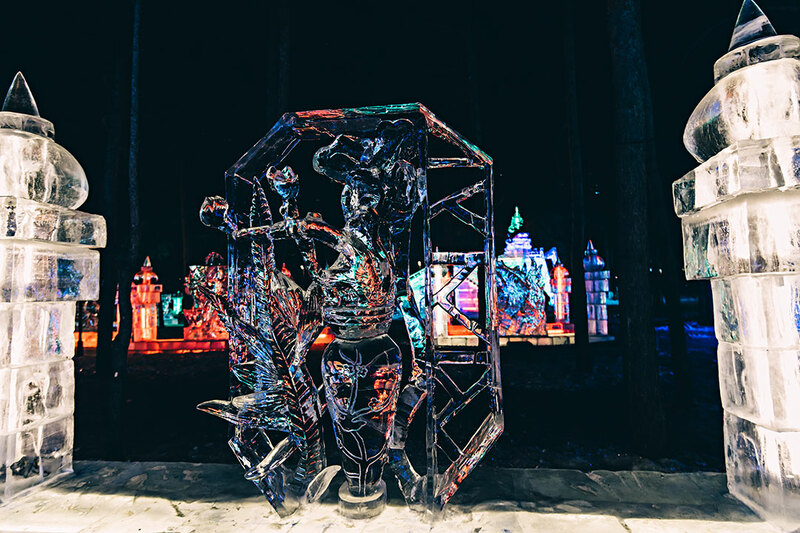 Because all the Ice structures are illuminated from inside. 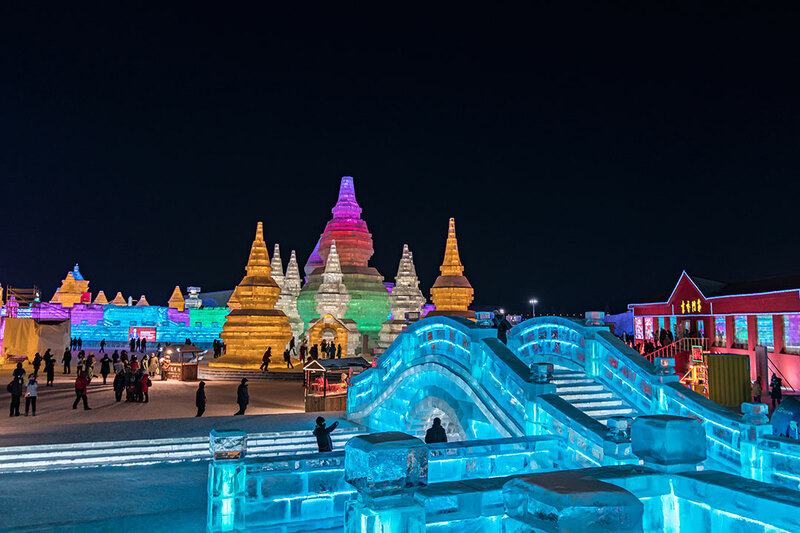 The ice structures here are a mix of replicas of famous buildings from around the world and some fancy structures – hard to describe, but lovely too look at. 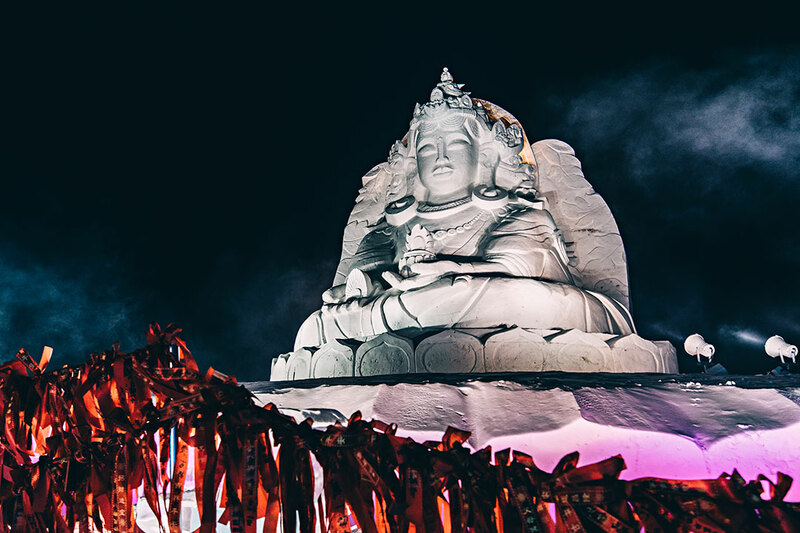 This year they even had a giant Buddha statue and the place was turned into an ‘ice temple’. But not just a replica – the real thing in that sense that devote Buddhist are saying their prayers there and offer incents. 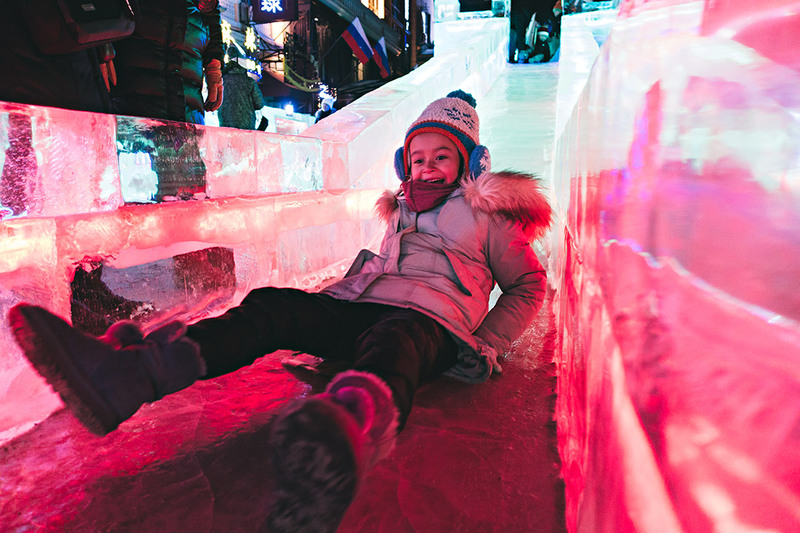 And one of the reasons why I came to Harbin’s snow and ice festival already for the 2nd time is because it’s also great for children. Most of the ice structures can be walked in or upon. And many have slides for kids to have fun. This one is considerably smaller, yet still worth exploring. Also, better go there after it gets dark. 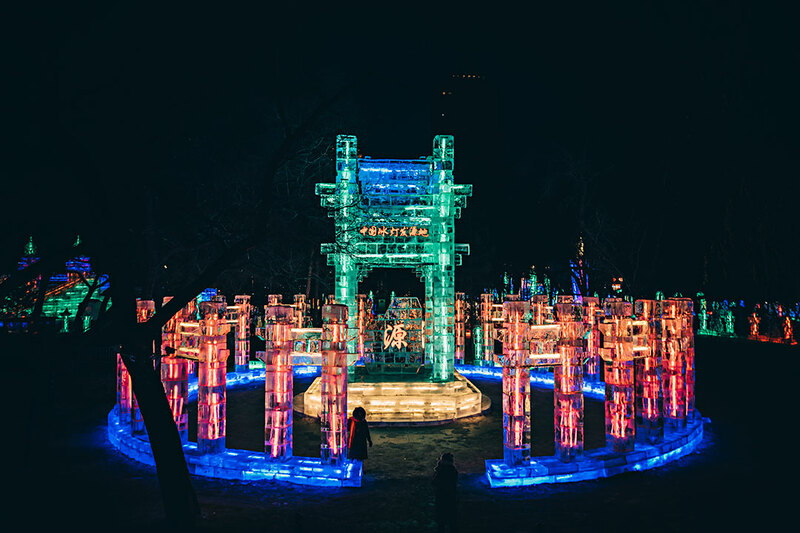 In the following a few photographs from the Ice Festival in Zhaolin Park. 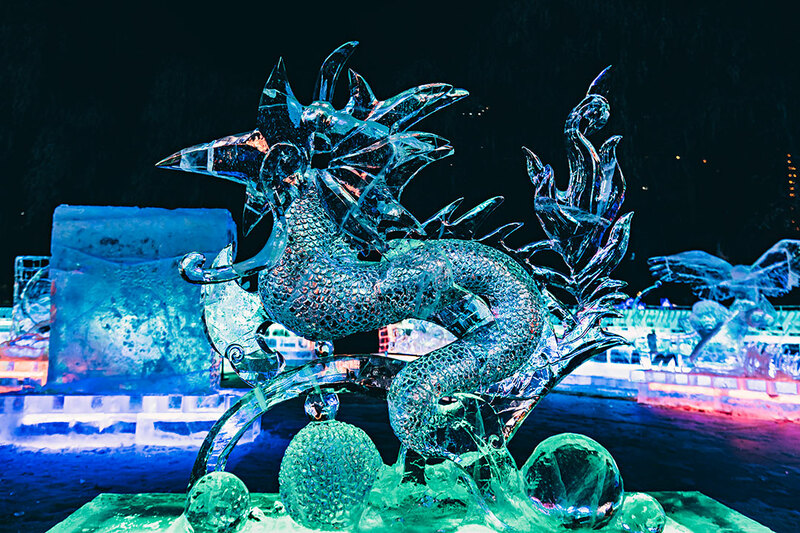 Ice carvers come for all over the world to make these things. First things first. It is VERY DIFFICULT to make photographs in temperatures 20 degrees below Zero. At such temperatures it is absolutely mandatory to wear thick gloves or mittens. But try to operate a camera with thick gloves, let alone with mittens. It wont work. So one has to get the hands out. But having your hands out for more than a minute (at best) is also impossible. Secondly, batteries drain twice as fast under such temperatures. So you need to bring plenty of spare. Especially when you are working with such a poor battery performer as the Sony a7R II. The third problem you will encounter is when you come from the cold into a heated indoor environment. Your lenses will become completely covered with moisture. But that moisture disappears as quickly once you are outdoor again. As for keeping warm there is actually a very simple recipe. Besides wearing proper attire move constantly and move quickly. As long as one walks at a rather fast pace you won’t feel the cold much. Pay special attention to your footwear because your feet will be the first to get cold. And make sure to watch out for ice on the streets. While the authorities are doing an excellent job in keeping streets generally free from snow and ice there will be often situations when you have to walk on ice. In terms of gear I worked mostly with my Sony a7 R II. And on it the Tamron 15-30 / 2.8 at the snow and ice festival. 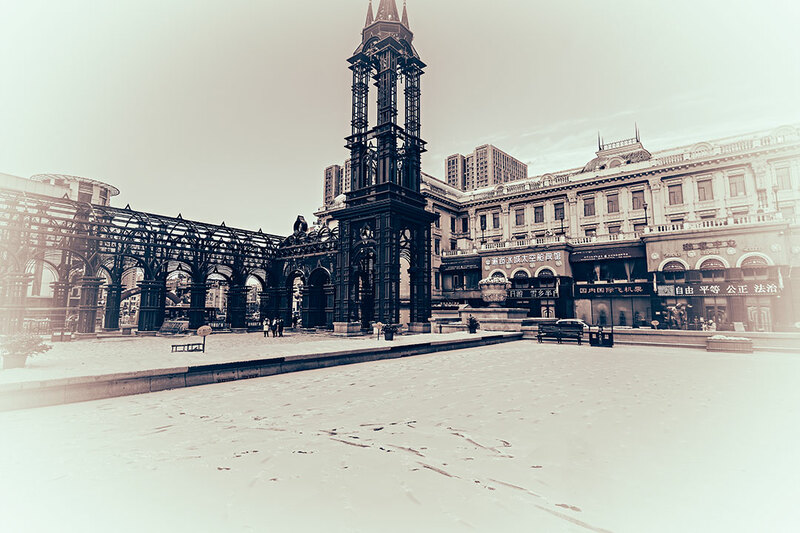 A few images though were taken with the Canon SHX 50. 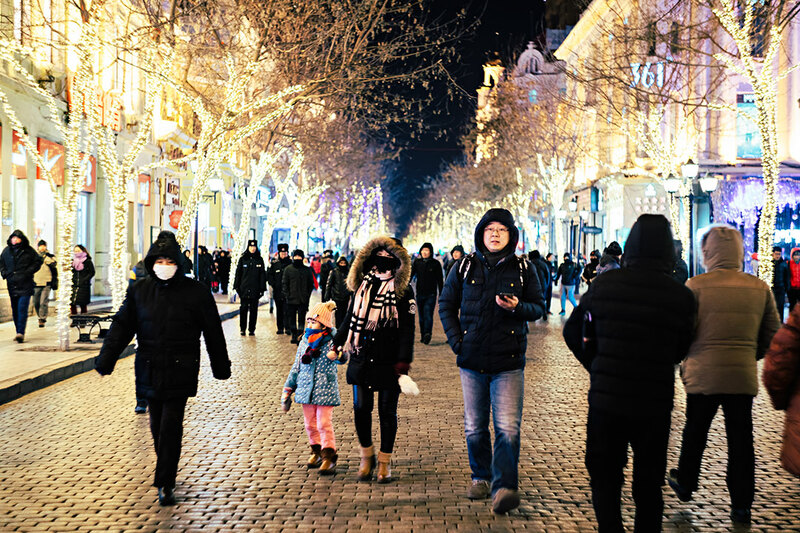 In Harbin, I also used my newly acquired Helios 44-2 / 2.0. I won’t even start here to tell you about my deep love affair with that lens. 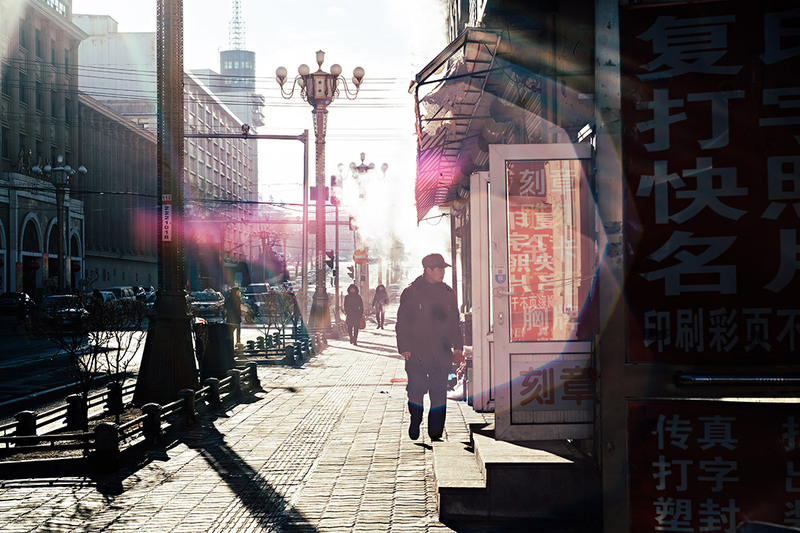 Please explore the article about why the Helios 44-2 is also a perfect travel companion. 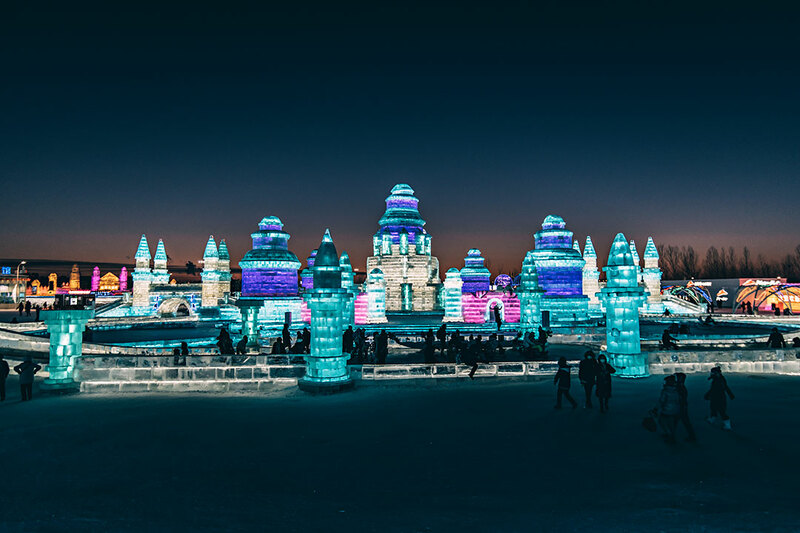 If you want to photograph the ice structures at sunset where you still get some beautiful blues in the sky come at least 1, better 1.5 hours before sunset because the lines at the ticket counters tend to be long. Worse on weekends. My family and I enjoyed Harbin very much. We even extended our stay there. 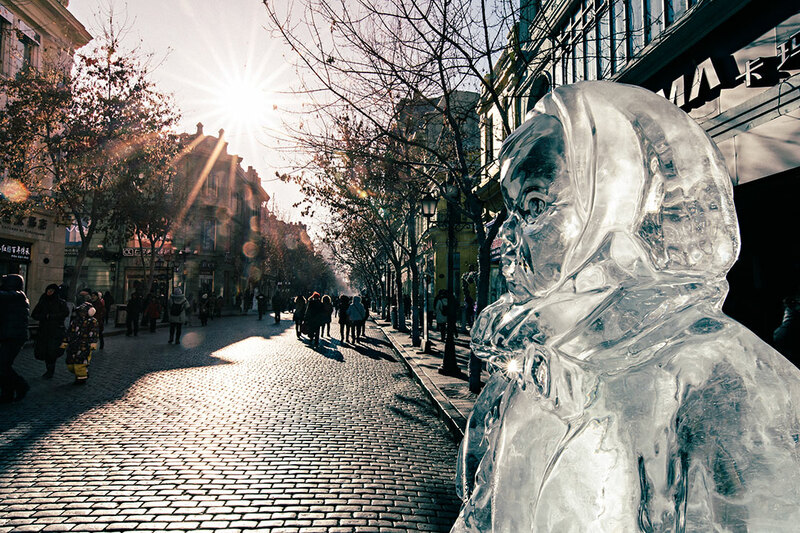 The city center, in spite of the extreme temperatures, is bustling with life, even in the evening. And the main road has been turned into a pedestrian way. This adds further to the appeal of a stroll. The snow and ice festival has been a complete success with my children. There is plenty of stuff not only to see but also to play. As it turns out that children are particularly resilient to the cold. It was always us parents who had to warm up for a moment. On the Songhua river, children and adults can indulge in plenty of activities. Such as ice skating, dog-sledge riding, ice-scooter and lots more. There are a gazillion of restaurants, cafes and bars. 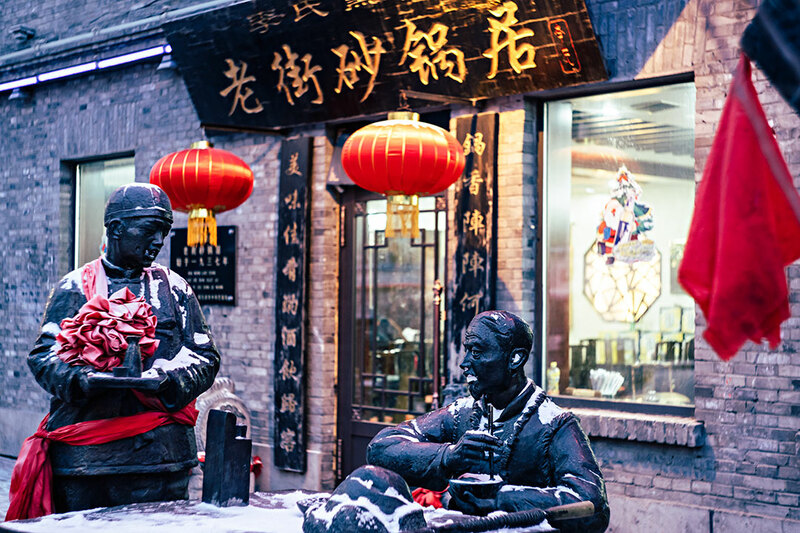 So, if one gets to cold you can drop in and warm yourself up over a coffee, a tea or over North-East China’s delightful cuisine. My admiration goes out the countless street vendors who for hours stay out there in the cold to offer their merchandise. I also could not get my head around the idea to eat ice cream in these temperatures. But that is what a lot of folks do in Harbin. A word of warning and my only complaint about Harbin. 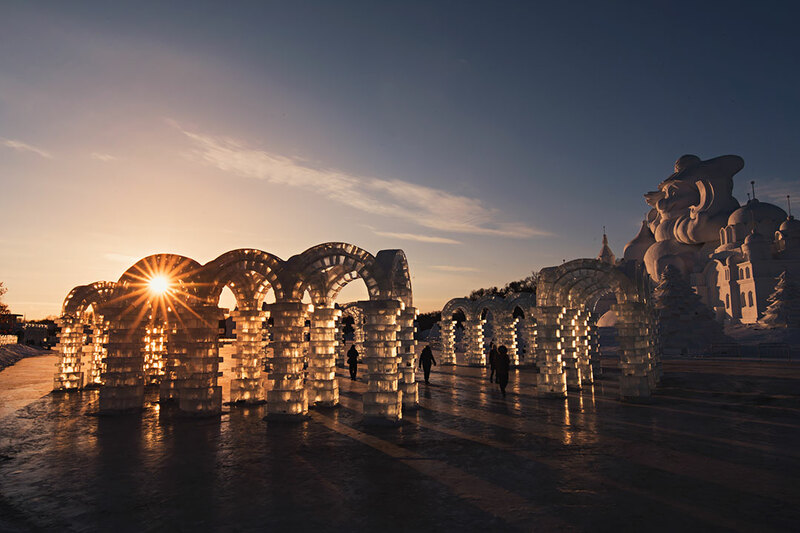 The ever-increasing numbers of tourists flocking to Harbin have given rise to some shady practices to ‘milk’ tourists. I won’t go into details but there is quite some over-charging going on in Harbin. Its not notorious (yet), but it could get there if the authorities do not clamp down on that. Oh, there is actually one more downside to Harbin. Air pollution. Its pretty bad, but fortunately you can see blue skies most of the time, unlike in other parts of China where the pollution turns into an ugly gray haze. 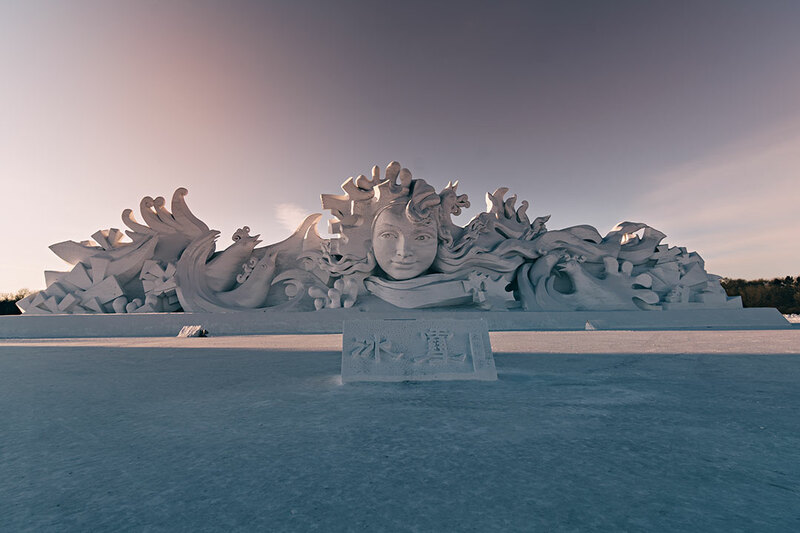 But other than that I highly recommend Harbin as a vaccation destination. That is if you can deal with arctic conditions and all that it entails. 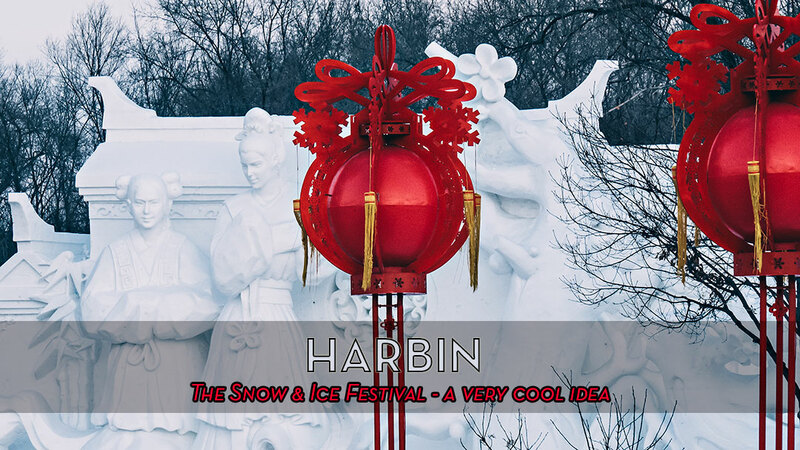 If you are interested you can learn more about Harbin at this Wikipedia article . 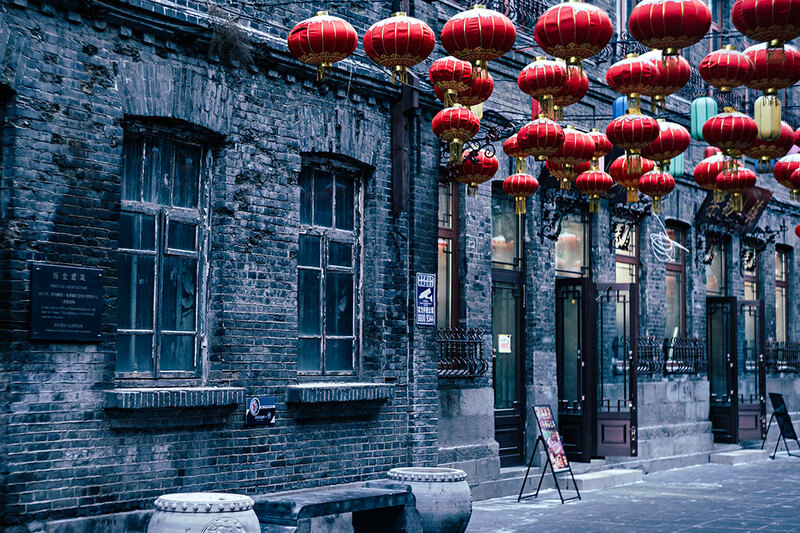 I will soon publish another photo essay from Harbin’s old city – where I have been able to capture some images that count among my all-time favorites.